A story about 141 (out of 200+) Norwegians who graduated from SS-Junkeschule Bad Tölz. Each man has short bios (1-3 pages w/photo). Lots of interesting information on their wartime experiences as well (before the war, invasion of Norway, volunteering, at the front, at Bad Tölz, being officers, post-war imprisonment etc). 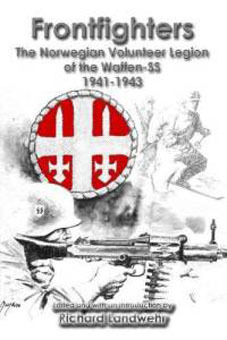 The Norwegian Volunteer Legion of the Waffen-SS, 1941-1943. Traces the unit through training, transfer to Russia, installation on the Leningrad front, re-assignment to Norway and final disbandment. 220 photos and illustrations. A pictorial documenting book about Norwegians serving in the Waffen SS during World War II. The book contains around 200 pics, most of whom have never been published before, many being "happy snaps" taken by the soldiers themselves. All pictures are commented in both English as well as Norwegian. A general introduction to the subject of the book is also written in English. Otherwise the introduction of each chapter in the book is in Norwegian only. Publishing Leandoer & Ekholm, 2011. 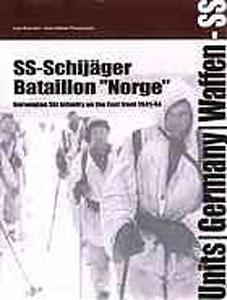 A story of Norwegian frontfighters who fought above the Polar Circle during the war as an elite ski infantry battalion among SS ‘Nord’ Division ranks. 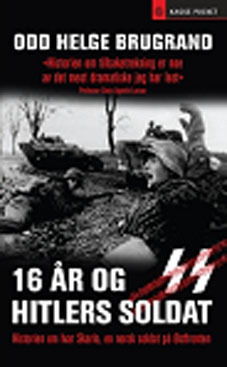 "De som falt" (Those who were killed). 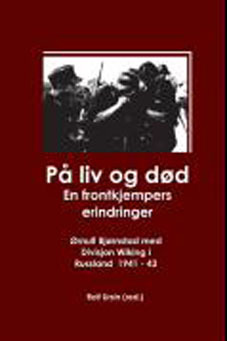 A collection information about hundreds Norwegian frontfighters who were killed for Hitler and theirs Germanic Empire’s dream during World War II. 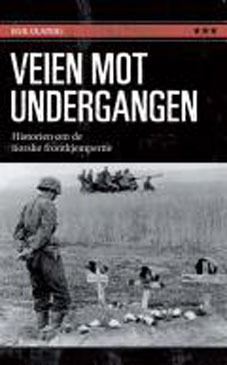 A dramatic story about a Norwegian teenager name Ivar Olsen, who joined Hitler’s army when he only sixteen and fought for the German military and political expansion on the Eastern Front during the Second World War. Lost his left arm at the age of eighteen, the strong boy survived the war and will be remembered as a hero in Estonia, but not in his native Norway. 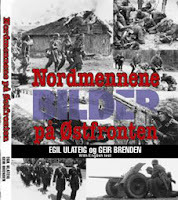 A memoirs of Ørnulf Bjørnstad, a member Nasjonal Sjamling, who served as a member of the Waffen-SS. He fought in the Eastern Front with the elite SS ‘Wiking’ Division from Dnieper river to Caucasus before discharge in June 1943. A complete account of 6,000 Norwegian front fighters during World War II. Told about theirs true reasons to served Hitler’s army, theirs battles, and the harsh judgement that fall into theirs remaining life. Based on numerous primary sources.